The son of David and Cathy Livingston and grandson of Edna and the late Bill Livingston of Clyde River left for Thurri, Kenya on February 5th for 20 days as part of a group that are visiting the Mikinduri Children of Hope mission. Ted Grant, who has led this mission for many years, spoke to Clyde River’s Burnside Presbyterian Church congregation and the church began to help the small village of Thurri, close to Mikinduri. Joe decided he wanted to the join the KENCAN 2013 trip to visit Mikinduri and Thurri, so he worked all last summer and paid his own way which was $5000. The mission team runs a clinic in Mikinduri which includes medical, dental and vision services. Joe is part of the vision team. 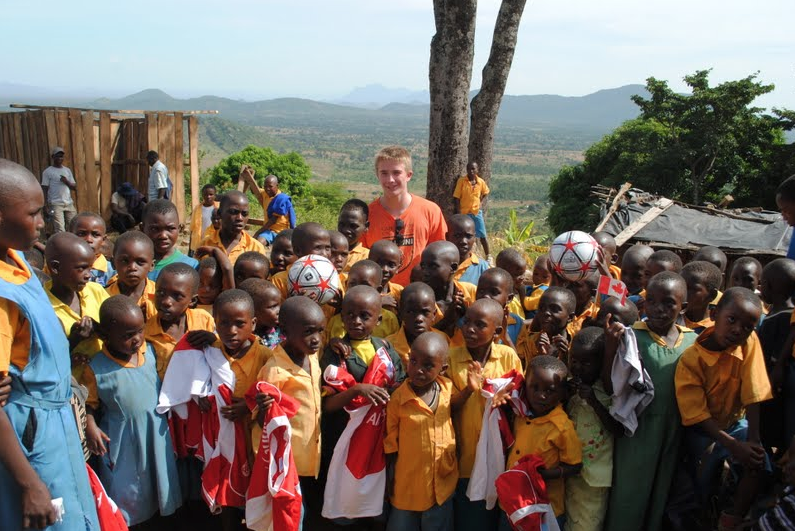 The KENCAN 2013 Trip Blog talks about their daily experiences, so if you wish to read more, visit here and click on any of their stories. To read about the history of the mission and how a few folks from PEI began work in Mikinduri, read here. To view photos of Mikinduri which feature some from the KENCAN 2013 trip, visit here. In the photos, you will see “Westie” the mascot that was sent to the children from the students who raised money for the mission at Westwood Elementary School in Cornwall. In an interview with Joe’s mother Cathy, she says that it will no doubt influence her son’s future. He is now 18 years old and graduated from Bluefield in 2012. After Joe’s first week there, he told his mother, “I am going to come back here.” Cathy said that she and David are so proud of him. We are proud of you, too, Joe.